Have you ever been on a trip where all the stars lined up? Where every single thing fell into place like a beautiful cosmic dance without you lifting a finger? Where at the end you feel like it was a surreal dream and one of life’s intense experiences at the same time? I did. The feeling is magical. And the gratefulness, well that’s when I realise that it is not about me at all. I first heard of Srishti’s Project Crossbow Miles six months ago, during their crowd-funding stage. At that point, I was battling with the idea of India, identity and what I need to learn to be able to understand it better. Crossbow Miles hit me like a sudden lightening bolt and it led to two major realisations, overnight. One, women today stand on the shoulders of those who’ve come before us. It hasn’t been an easy journey and it definitely isn’t something that we should take for granted. When it is time to pay it forward, we must. Two, we are not a “not my problem” generation (paraphrasing Srishti). We have time and monetary luxuries that our previous generations didn’t, and if we are called upon to exercise it in any way, we must. Project Crossbow Miles shaped up into something powerful and touching at the same time. 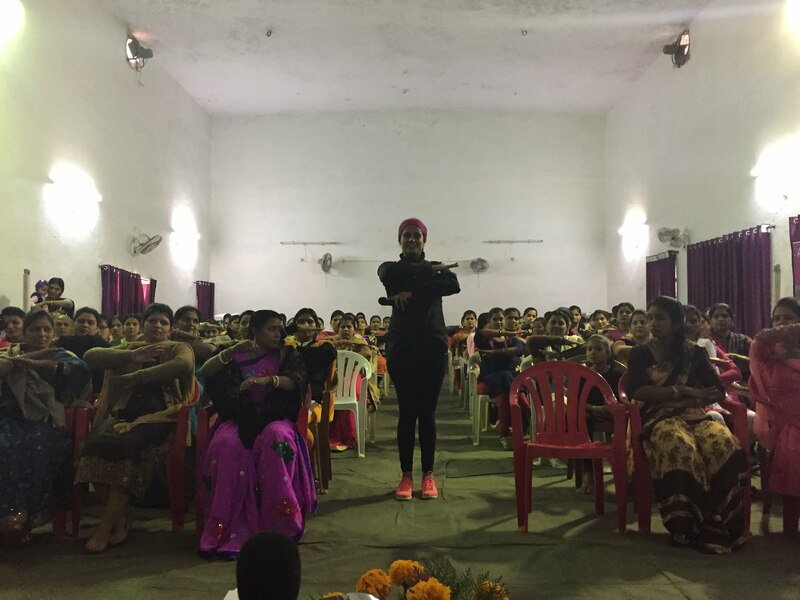 Srishti started a march along India’s spine from Kanyakumari to Kashmir focussing on two vectors to empower women (heaven knows there are so many). She conducted digital and financial literacy workshops for women in villages along the way and also addressed school and college students to tackle mindsets, the root of all discrimination. I watched this journey online, and cried so many times at the stories she unearthed on the ground. This is it. This is the real India I’ve been struggling to understand. I couldn’t resist a trip to see it for myself, to immerse myself in this experience albeit for a short three days. So I headed to Bhopal, Madhya Pradesh. And what an extraordinary three days that was. Every single logistic fell into place magically and all I had to do was throw myself into every activity with all my heart (and erm, legs). 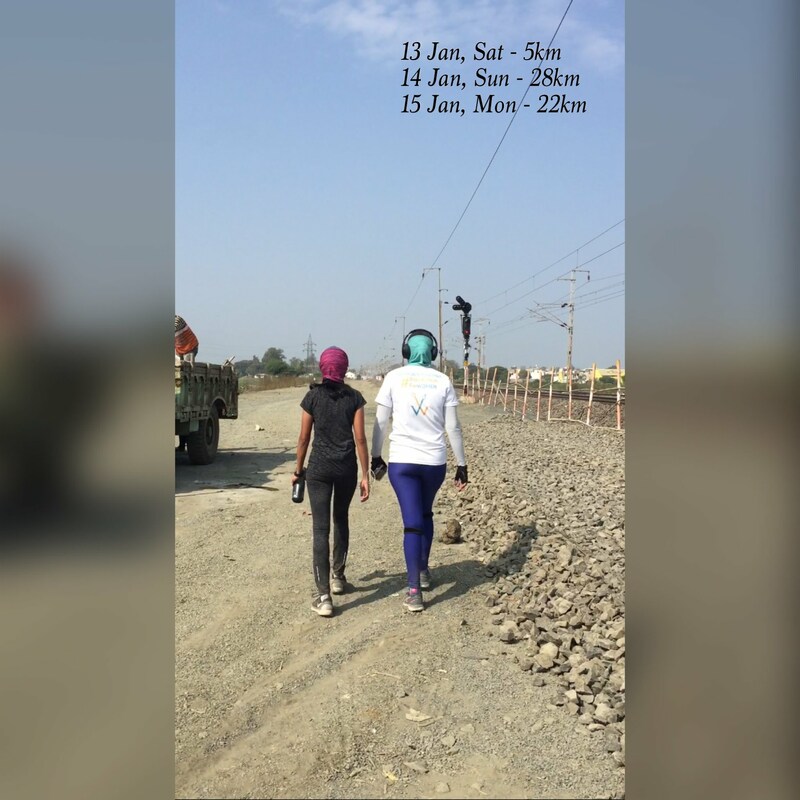 The Walk: Srishti and I walked 55km over 3 days when I was there. 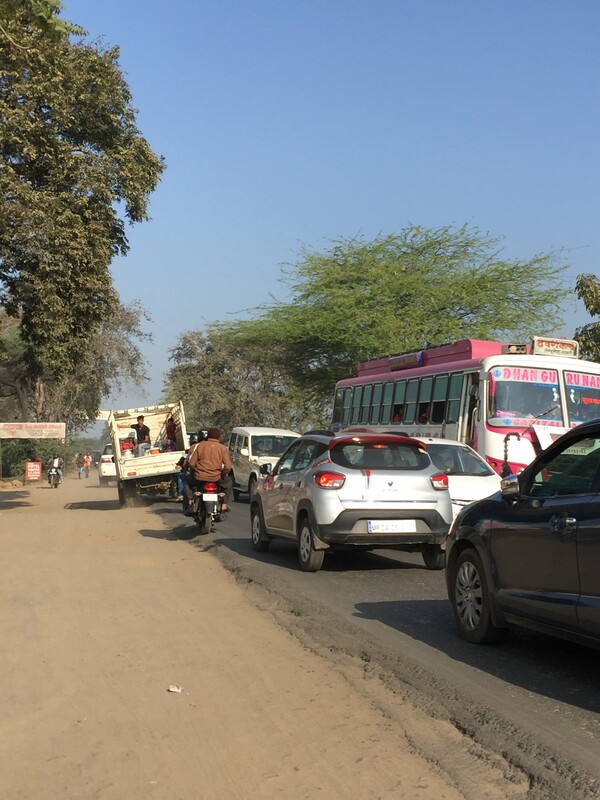 NH-46 from Budhni Park to Bhopal was the narrowest and dustiest highway the team had encountered in four months and 2000km! 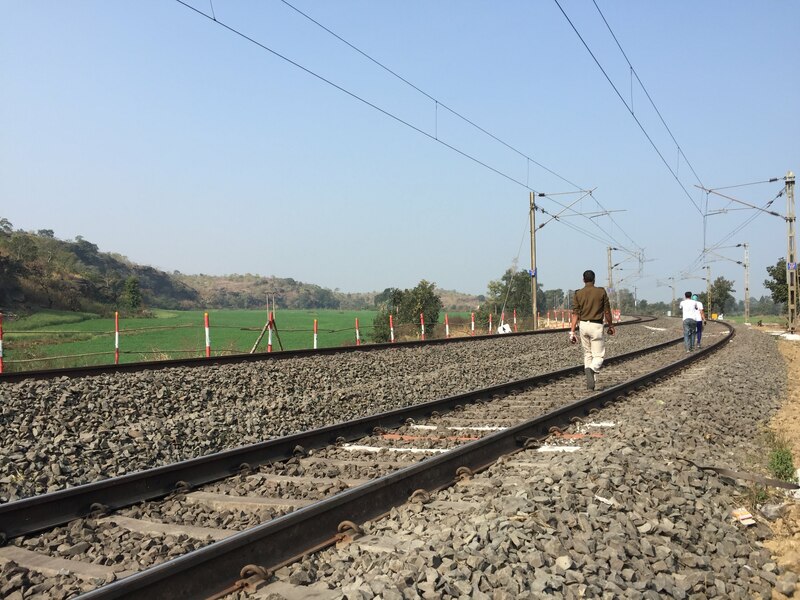 Tired of the dust, we spent a considerable time on a parallel railway track, jumping off the tracks and watching trains when the signals turned yellow. And at other times, we walked through protected forests and noisy dirty towns. Finding loos was an adventure. Pushing through smoke chimneys which broke our hearts was an adventure. Heck, every step was one to remember. 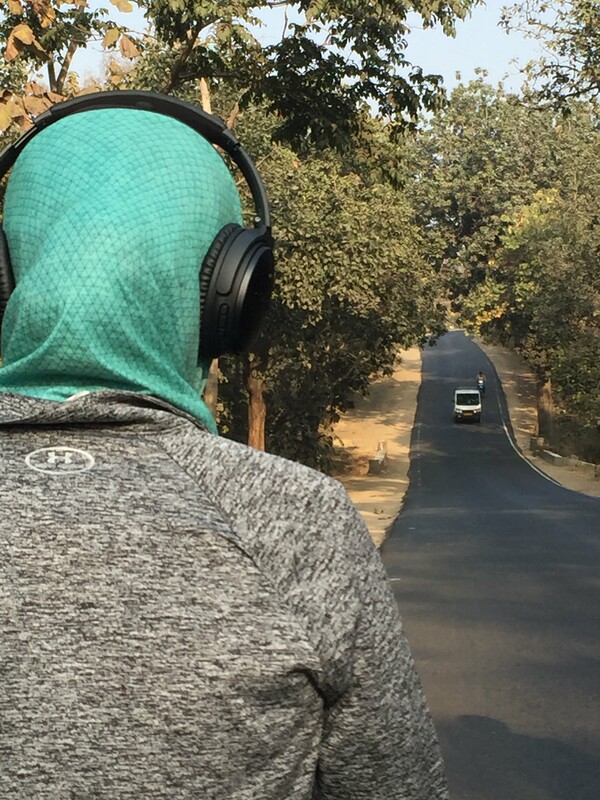 This walk tied together my other two loves – endurance activities and travel. I love walking and running, and 55km fed right into this need. And my wanderlust heart has always wondered what it would be like to walk long distances to get from point A to B instead of flying or driving, slowing down and breathing slow. Sure, NH-46 wasn’t an ideal candidate for this, but it was an interesting to notice that I survived this without using a single emergency asthma attack equipment that I had packed! Till we got off the highway to a parallel train track. People who stop by to express their support, invaluable on the road. 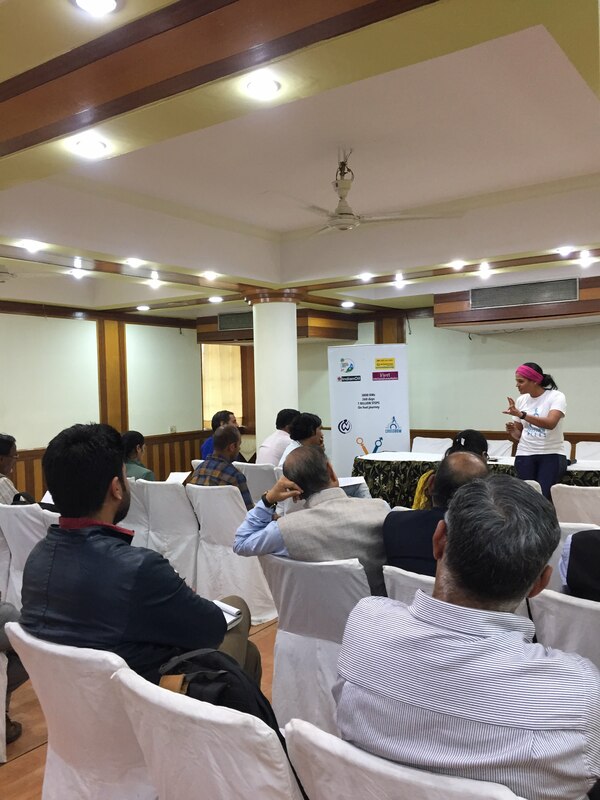 The Workshop: I attended a workshop at the Army Wives Welfare Association conducted by Srishti, which focussed on finding your voice and standing up for equality. From the podium, I watched the audience and their reactions. Heads nodded in agreement, faces lit up in hope, eyes turned wistful at “if-onlys”. They mobbed her after the event, a true testament to someone voicing what they’ve always felt. 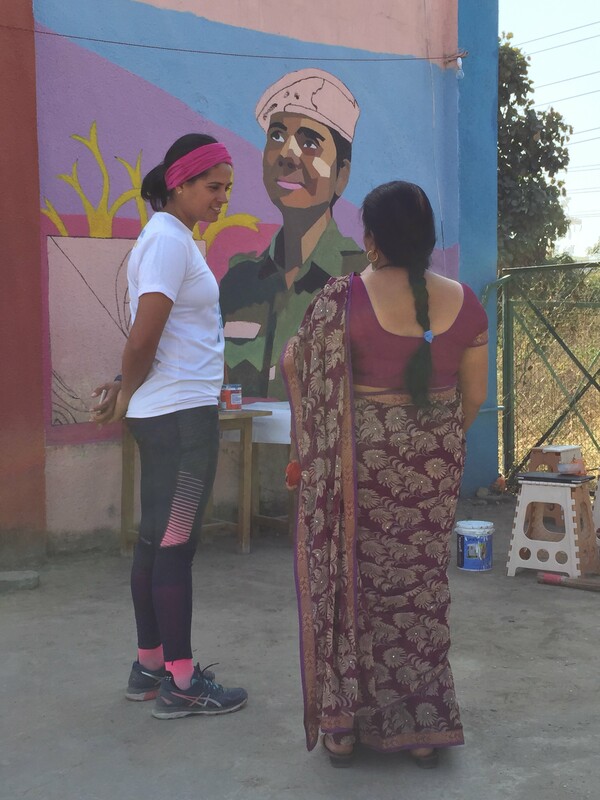 I have deep respect for army men and women and their families for their service to the country, and it broke my heart to see that women’s issues cut across social and economic strata like nobody’s business. Neelam’s Mom tears up at her daughter’s portrait. I also learnt how much effort it takes to put together a project of this magnitude. Srishti and her team have been working tirelessly for a year to get sponsors on board, a UN internship and massive logistics in place. Not to mention the physical conditioning required for an endurance project like this one. What lies beneath is pure passion. A drive to make even one person’s life a tad better during our time on earth. The final product of this nine-month tour de force will be a documentary of this journey with its sights and learnings, a report to the National Commission for Women to attempt to affect policy change, and the biggest one of them all – an app to consolidate the ways that people can contribute to causes that make an impact on the ground, all from the comfort of their daily lives. Download Crossbow Miles today and gift your steps to the women and children of real India! I must mention my mother before I sign off. The biggest female inspiration in my life, she continues to do so much in one lifetime which I don’t think I can do in ten. She’s professor-ed (hah, yes, that’s a word from today!) for more than three decades, still teaches with a store of patience that seems never ending, raised a family, taken care of both sets of grand folks, and without a word also reached out into society and educated our maids’ children and supported them in various ways over the years like how many in her generation did. Our maid is currently educating three daughters in spite of great pressure from extended family, and she says she couldn’t have done it without my Mom’s silent backing. Mom’s impact on society matches mammoth projects like Crossbow Miles, steadfastly paying it forward as much as they can and making a difference. Here I stand, watching stalwarts like these, only hoping that one day I find my heart’s calling in the next step in life – to give back. It isn’t going to be a lightening bolt. And it isn’t going to fall into place magically. It will take hard work, and an open ear, heart and mind to the call of the universe.